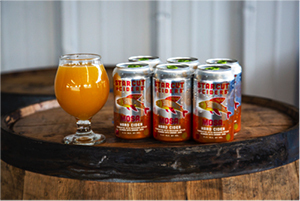 Starcut Ciders, a division of Short’s Brewing Company, announced the transition of their packaging exclusively to cans and draft product, along with the release of their new rotating cider, Mosa. Based in Northern Michigan, the company sees this change to their lineup as a step towards engaging customers activities better suited for non-glass containers. 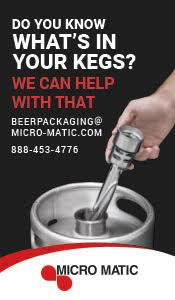 Short’s Brewing Company installed a new KHS canner with the capacity to fill 225 cans per minute alongside additional equipment manufactured by Design Machine Manufacturing, Mumm Products, Arrowhead Conveyance, and Ska Fabricating this past July (2018). The installation of this new canning line expanded the capacity for high-quality, durable cans, which complements the active lifestyle for many cider drinkers. Along with the transition to cans, Starcut Ciders is introducing a brand new rotating cider. Mosa is a crisp, refreshing blend of hard cider made from Michigan apples and sweet orange juice. At 4.3% ABV, this cider is slightly hazy and light orange in color, a true mimosa in cider form. Starcut Ciders cans are now available throughout Michigan, Colorado, Illinois, Indiana, Ohio and Wisconsin, with Mosa distribution occurring throughout the next couple of weeks. 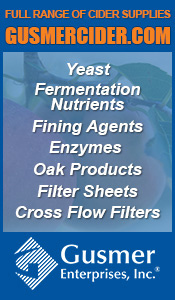 Please visit StarcutCiders.com for additional information. Photos provided by Short’s Brewing Company, makers of Starcut Ciders. 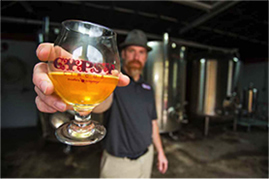 Gypsy Circus Cider Company was named 2016 and 2018 Tennessee Cider Producer of the Year. All Gypsy Circus ciders are crafted from locally-sourced and fresh-pressed apples with no high fructose corn syrup added in the company’s facilities located in Kingsport and Knoxville (Tennessee). Today, the company has two “core” ciders – a dry and a sweet offering – along with seasonals, experimental ciders under the “elixir series”, a barrel-aged cider program, and even cysers and meads. Tell us a little bit about yourself. Where are you from? What is your background in? I was born and raised in Telford, Tennessee, and spent my childhood roaming the farmland, exploring creeks and hiking trails in the region. The region's largest Apple Festival is 15 minutes from my childhood home. I spent the last 20 years working as a consultant for a large firm, but have always been a foodie and lover of craft beverages. For the last 10 years, I've also served as the Executive Director of SuperFly Fabulous Events where I focused on craft education and events. I am also Co-Founder of the Tri-Cities Pro Brewers Guild, Executive Director of the Brewly Noted Beer Trail in Virginia and Tennessee, and author of East Tennessee Beer: A Fermented History. What is your favorite cider and food pairing? Cider and grilled meats. We get adventurous at Gypsy Circus Cider with our cider varieties, and several of them stand up well against a marinated fish, chicken or even steak. My favorite thing to do is marinate the meat in a cider, create a reduction from it, and baste it over the grill, while drinking the cider of course. The cider industry has really taken off in the recent years. 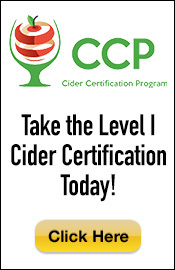 What got you into the cider industry and cider production? My wife and I began working in craft beverage festivals about 10 years ago. One thing led to another, as it normally does, and we found ourselves running the Colorado Cider & Beer Circus. Through our exploration of cider and some home brewing experiments, we felt like we had some solid recipes. As entrepreneurs, we also identified an opportunity for growth in cider in the southeast. With a market that is becoming dense, what are you and your brand inspired by and how are you making a splash within the industry? Our core philosophy (pardon the pun) at Gypsy is to do things well and right and, beyond that, take people on a journey when they're sampling our ciders. We use only fresh-pressed apple juice, never concentrate. We also have a "no-extract" policy, so if we can't make a flavor naturally occur, you won't find it. Aside from making cider, we are also travel junkies, and enjoy incorporating flavors and experiences from our travels into our cider. Our Lotus Dreamer made with Thai Tea and Orange Blossom Honey is one example of that. With the cider industry expanding, what word describes you and your involvement in the cider industry and what makes your brand different? We believe we have a quality product. Beyond that, we believe we challenge and enrich people's palates, and invite them on our journey as "gypsies" – tasting flavors, experiencing new things and celebrating adventure. Gypsy Circus Cider has recently expanded into the Knoxville area. How did that come to be? Any other big future plans for you and Gypsy Circus Cider? We've had barrel-aging operations in Knoxville since we opened two years ago. We feel fortunate to have experienced the growth we've had. We are now available in most of Tennessee and have plans for distribution expansion to Virginia, Kentucky, Georgia and North Carolina. As for future plans - continue to do things the right way, honor the craft and expand palates. 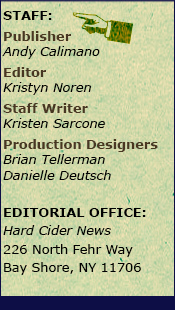 Interviewed by: Kristen Sarcone, Staff Writer of Hard Cider News. Photos courtesy of Gypsy Circus Cider. For more information on Gypsy Circus ciders, their locations and more, visit GypsyCircusCider.com. Correction: Previously this article had stated that Gypsy Circus Cider Company was Tennessee's "original cidery" and the "first in Tennessee." It also stated that Gypsy Circus Cider is "available throughout the state of Tennessee." These statements have since been removed due to dispute. Long Road Cider was established as a cider business in 2013 and permitted in 2014 making the cidery the first in Tennessee. 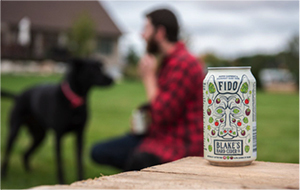 Blake’s Hard Cider announced its newest product, FIDO, the second installment in their Kinder Cider Series. Latin for trustful or faithful, FIDO is fermented on homegrown raspberries, conditioned on zesty grapefruit peel, and dry-hopped with locally grown Michigan Chinook and Cascade hops. Owner and founder, Andrew Blake stated, “The Kinder Cider Series is made up of ciders supporting non-profit organizations that share our values as a company”. The family-owned and operated business built its reputation on using quality apples, grown in their orchard, and pushing the boundaries with their eccentric flavors. “Every cider we make starts with our proprietary blend, and from there we get to be creative, using all-natural ingredients. Michigan hops really bring a unique aroma to FIDO, and with a hint of sweetness from our homegrown raspberries, it’s a nicely balanced cider,” explained Cider Maker, Matt Wiles. The Blake’s team has set out to raise $10,000+ for Pets for Patriots, during FIDO’s season. The hopped semi-sweet 6.8% cider will be initially released at Blake Farms in its Armada, Michigan, Tasting Room. The cider will then be released to the market on Thursday, November 1st and will be available until February 1st. Learn more and how you can donate at BlakesHardCider.com/fido. Photos credited to Blake’s Hard Cider. From November 9-18, cider lovers are invited to experience Cider Week Virginia, a statewide celebration of the historic craft beverage. Cideries and restaurants across Virginia will be hosting tastings, workshops, and signature events like festivals and competitions with east coast and west coast ciders going head-to-head. Richmond Cider Celebration – Kick-off Cider Week Virginia on November 10th from 11am-4pm with workshops and a tasting pass that includes ciders from across the commonwealth. Food pairings will be available to purchase as well. Tickets are $30 in advance and include tasting tickets, a glass and entertainment. The event will take place at the 17th Street Farmers Market located at 100 N. 17th Street in Richmond. Home Cidermaking Workshop – Blue Bee Cider is partnering with Original Gravity Homebrew Supplies to host a home cidermaking workshop on November 12th from 6:00pm-7:30pm. Join the cellar team to learn about evaluating juice, making additions before fermentation, monitoring progress during fermentation and options for customizing your cider before bottling. The workshop fee is $30 and includes one gallon of juice, carboy with airlock, yeast, yeast nutrient, lab flask and funnel. Seats must be purchased in advance due to limited availability. Virginia Cider Smackdown – Hosted by Albemarle Ciderworks, on November 16th from 5:30pm-7:30pm you are the judge of the best cider! Spend the evening sniffing, swirling and sipping your way through a number of ciders from Virginia and beyond in a blind tasting. Call 434-297-2326 or email fruit@albemarleciderworks.com to make a reservation since space is limited! Alexandria Cider Festival – Attendees of this event can enjoy a selection of ciders from Virginia cideries on the grounds of historic Lloyd House in Old Town Alexandria on Saturday, November 17th from 2:00pm-6:00pm. Tickets are $45 each, if purchased online and in advance, and include tastings, a souvenir glass, live music and fun fall activities. Ragged Mountain is Albemarle Ciderworks’ most traditional cider. It is an off-dry blend made from Albemarle Pippin, Goldrush, Pink Lady, and Virginia Gold apples among others. With a floral nose that belies the crispness of its body, Ragged Mountain is a refreshing cider perfectly suited for pairing with party foods like cheese boards, simple salads, and an array of hors d'oeuvres. Spicy foods also meld well with the lower acidity of Ragged Mountain, especially those that carry a note of sweetness such as pork barbeque, curried chicken salad with currants and apple chunks, or empanadas. It's also a great "sipping cider" for enjoyment all on its own at 7.7% ABV with a champagne feel. Courthouse Creek’s Rustico is a blend of finished ciders from various barrels, all aged from six months to a year. This dry, bottle-conditioned sparkler expresses their dedication to minimal intervention – the hallmark of their rustic cider-making methods. Rustico is a perfect fit for any occasion with 7.5% ABV. Inspired by the rich, distinctive spices found in Chai tea, Bryant’s Chaider brings with it a refreshing ginger flavor with strong hints of cinnamon, nutmeg, and other complimentary spices. At 7.9% ABV, the cider is fermented completely dry and carbonated in the bottle with live yeast for a unique flavor like all Bryant’s Cider. For a full listing of Cider Week events and participating cideries, check out CiderWeekVA.com. Photos courtesy of Virginia Cider. 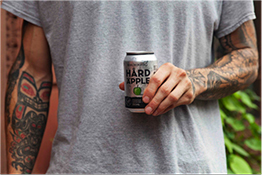 Rekorderlig, the premium hard cider brand from Sweden, announced the launch of Hård Äpple in the United States last month. The lightly carbonated cider is created in Vimmerby, Sweden using a blend of apples and the purest spring water in Europe. It is a higher alcohol, lower sugar blend than the rest of Rekorderlig’s portfolio and is currently available in markets where Rekorderlig can be found. Influenced by their European heritage, where ciders are traditionally produced with a higher ABV, Rekorderlig Hård Äpple comes in at 6.5% ABV, compared to 4.5% ABV in their other ciders. The new cider will be available in four-packs of sleek silver and black 330mL cans with a bright green apple adorning the front. A contemporary Swedish twist on traditional European ciders, Hård Äpple balances the signature burst of apple flavor with light carbonation. 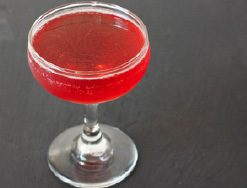 It is initially sweet on the palate with a dry, citrusy finish. The combination of bittersweet apples and delicate bubbles make this a fresh, sessionable cider. It is best served cold over ice for a crisp, refreshing experience. For additional information about Rekorderlig, please visit Rekorderlig.com/us/. Photos courtesy of Rekorderlig. Wilson's Orchard, a local apple producer and hard cider maker, has acquired the Sutliff Hard Cider brand with plans to broaden its varieties offered and expand their products into retail distribution throughout the state of Iowa. The merger is expected to help Wilson’s Orchard develop a broader distribution and expand its team. Established in 2002, Sutliff Cider was Iowa’s first brand of craft hard cider. The company pioneered the use of local apples and aging in wooden barrels, producing a very distinctive and refreshing cider. Over the years, Sutliff Cider’s marque cider has become a staple in bars and restaurants across the state, reintroducing many Iowans to hard apple cider. Rasch sees a very fruitful future for the brand. 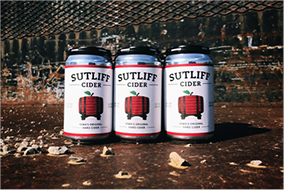 In September, the Wilsons relaunched Sutliff Cider, which was previously found mainly on local taps, into 12-ounce cans for sale in retail. Eventually, the brand will add other apple-centric ciders to its portfolio. Visit WilsonsHardCider.com for additional information on Wilson’s and the ciders they produce as well as their U-Pick apple orchard just north of Iowa City with over 120 apple varieties. Photos credited to Wilson’s Orchard.